Pellet Hops - Simcoe - 1 oz. - F.H. Steinbart Co.
Home / Ingredients / Hops / Hop Pellets / 1 Oz Pellets / Pellet Hops – Simcoe – 1 oz. 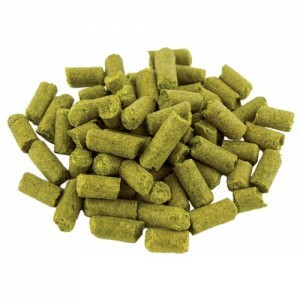 Pellet Hops – Simcoe – 1 oz. Aroma: Specific aroma descriptors include passion fruit, pine, berry and earth characteristics. Wyeast 3191, Berliner-weisse Blend Pellet Hops - UK Kent Golding - 1 oz.